rooted in relationships with our clients, attorneys, and our community. A superior mix of creative strategy, ethical execution, and consistent service. A former District Court Judge, Nancy brings more than thirty years of experience to the firm. With an emphasis on strategic planning and solutions, Nancy is an invaluable asset to her clients. 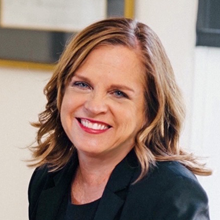 A skilled litigator with over three decades of experience, Donna provides sage advice to clients on all estate planning matters, especially guardianship and fiduciary litigation. You knowing you are appreciated and protected. At Norelli Savage Law, we treat each client with compassion and respect, providing customized solutions for your estate planning, elder law, probate, guardianship, fiduciary litigation, and mediation matter. We guide you to the best possible outcome for your specific situation, ensuring that you understand the financial, tax, personal and business ramifications of each option. Our goal is to make sure that our clients’ needs are met in an efficient manner, regardless of how complex the situation may be. We provide guidance and advice throughout the process and are always accessible to answer questions or help our clients understand a complex issue. Our attorneys are highly rated by fellow attorneys, an indication of their skill and commitment to the ethical practice of law. Nancy Black Norelli has received the highest possible ranking of AV Preeminent from Martindale-Hubbell. This signifies that North Carolina attorneys believe that Nancy has achieved the highest level of professional excellence. Our attorneys have more than 60 years of combined experience, bringing an unparalleled wealth of knowledge and skill to their practice. Through their decades of practice, Nancy and Donna have honed their ability to create innovative solutions to complex legal problems. With a deep understanding of the law governing estates, trusts, and guardianships and we offer strategic legal advice to clients in Charlotte and the surrounding areas. We are skilled at providing alternatives to help our clients achieve the best possible outcome to their legal issues. 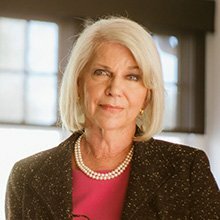 Older Americans face unique legal issues that often require the assistance of an attorney to help protect their safety, well-being, and assets from the state or other bad actors. When assets are distributed through an estate or trust, conflict may arise when the beneficiaries and those not named in a will disagree about the process and results, and will caveats or other measures may be required. Individuals with high net worth, significant holdings or difficult family dynamics may require more in-depth estate planning to ensure the protection of their assets and to minimize taxation. The process of administering a will can be lengthy and complicated, requiring a personal representative or executor to comply with legal, financial and ethical duties. We also act as trusted business advisers. We work closely with our clients to provide practical, customized solutions that further their personal, family and business objectives. Litigation is not always the best way to resolve a legal problem. Mediation allows parties to achieve beneficial outcomes. Donna is an outstanding lawyer. She helped us navigate through the challenges with expertise and compassion. She will forever be named as one of the people I am most thankful for. I have known Nancy for almost 30 years and have followed her career in private practice with well-respected firms, as a respected judge and now as a mediator. She has performed in an outstanding fashion throughout her career. She truly deserves to be recognized as a lawyer who maintains the highest level of integrity and ethics and is committed to upholding superior standards practice. Many of our clients are referrals from other attorneys. Your clients are in the right hands. Refer your best clients to us and we'll take excellent care of them and their legal matter. We listen carefully, advise wisely and fight fearlessly. At Norelli Savage Law, we believe strongly that clients who understand their legal rights and options are in the best position to make a smart, informed decision about their future. We work collaboratively with our clients to help them explore their goals in resolving their legal issue and provide a variety of creative alternatives to reach the resolution that works best for them. Legal issues require more than a one-size-fits-all solution. We offer innovative options to our clients to help them achieve their goals. From the first meeting to the ultimate resolution of your case, we will be there for you. Our attorneys are caring, efficient and experienced. We will stand beside you, making sure that you understand the facts and laws of your case, and assisting you in reaching your desired result. We will work collaboratively with you feuding family members to design creative settlements that bring reconciliation. Our attorneys are here for you. Reach out today to learn more about how we can help.